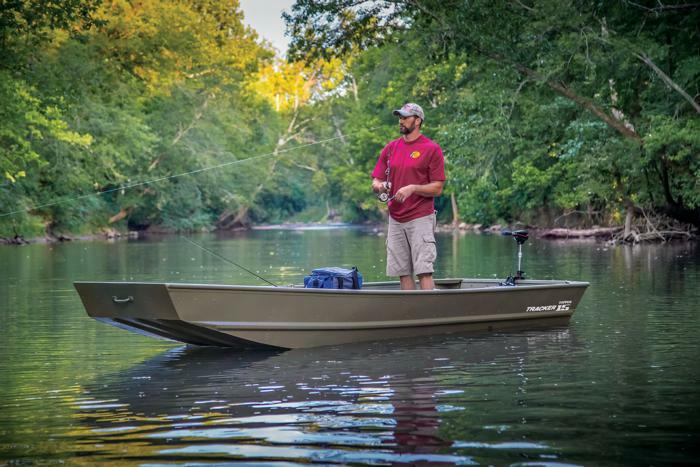 The TRACKER® TOPPER™ 1542 jon boat is built TRACKER-tough to give you and your family years of fishing fun! At just 190-lbs., it can be loaded on the roof rack of some vehicles and in the beds of some trucks. 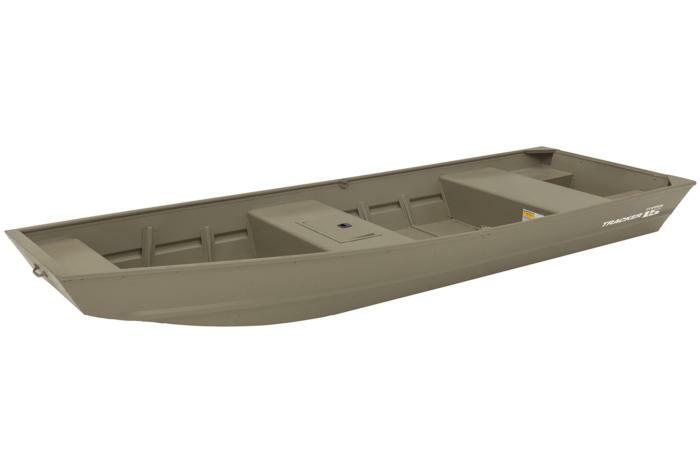 It's reinforced with port and starboard aft foam boxes, corner braces at the transom and sports a wetwell/storage compartment in the center bench seat. The Forest Green powder-coat will protect your boat from corrosion for years of service life, and it’s backed by a 3-year structural limited warranty, ensuring the quality TRACKER is known for. An optional trailer is available.